Are you looking to teach English in China in 2019? Wondering if you need a TEFL to teach in China? Or perhaps you just want to know how to find a good ESL job? Below I’d like to share with you a simple 5-step process that will help you understand what qualifications you need, how to find a good ESL job in China and how to negotiate your teaching contract. Enjoy! Before I started teaching English in China, I had such a hard time finding helpful information. I didn’t want to use a recruiter but I also didn’t quite know whether or not the job I had been offered was a good one. Were the teaching hours standard? Was this going to be a dream job or a nightmare? By the time you finish reading this guide to finding a good teaching job in China, you’ll know TONS more than I did and be much better prepared to make your move to Asia! Don’t have time to read this full guide? If you’d like, I’ll send you a free PDF version of this article “5 Steps to Finding a GREAT Teaching Job in China”. Enjoy! Awesome! 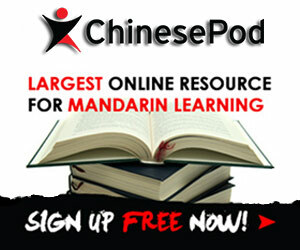 I just sent you an email with a download link for the Expat Guide to Teaching English in China. Enjoy! Use the navigation links below to jump between the 5 steps for finding a great job in China (not just good job). According to government regulations, China wants foreign teachers to fit a few basic requirements in order to teach English to its students. These “requirements” however, are not set in stone as I landed my first ESL job in Urumqi, Xinjiang with neither a TEFL nor two years of teaching experience. Meeting all these requirements definitely makes life easier when trying to find an ESL job in China, but it’s not absolutely necessary. Ultimately, schools across China will be more willing to let the minimum qualifications slide based on demand for foreign teachers. If you are looking to teach in a less traveled part of China like Urumqi or Harbin, schools are more willing to waive the requirement that you have a TEFL or teaching experience. For cities like Beijing, Shanghai, Guangzhou and Shenzhen, competition for jobs is much more competitive, so having a TEFL and teaching experience will increase your chances of landing a job. TEFL lays the groundwork for knowing how to properly teach English as a second language. Looking back on my first ESL job, I had no idea how to teach English, which made my first year on the job more difficult than had I come prepared with a TEFL certification. TEFL gets you higher paying jobs. Schools knows that TEFL teachers are more experienced and often stick around longer, so they’re willing to pay them more money. Salaries offered to TEFL certified teachers are usually 10%-30% higher than a non-certified teacher. In this way, a TEFL pays for itself within the first few months of teaching. If you also want to teach ESL as a career, getting a quality TEFL certification will prove to be a valuable investment as you promote and train your own teams of ESL teachers. If you are looking to get a TEFL from a quality and accredited program, I recommend i-to-i TEFL (save up to 60% using this link). They offer a number of different online and combined classroom courses that range from $200-$450. i-to-i TEFL is widely recognized by employers, and can also help you in finding an ESL job in China once you’ve completed the certification. For more details, read my thoughts on why a TEFL is valuable for teachers in China. There are a number of different types of ESL jobs in China – and there are pros and cons to each of them. By determining where you want to teach English in China, you’ll better narrow down how you look for teaching jobs (which we’ll talk more bout in Step 3). Pros: Training Centers often function as after-school English programs and your students at these schools can range between four-year-old children and fifty-year-old adults. You are generally teaching multiple levels each day, which for some people can be more appealing than teaching the same class for a full semester. Additionally, class sizes are really small (you can anticipate anywhere from one-on-one to 10 students) and easy to manage. Another bonus is that the curricula at training centers are generally written out for you, so you don’t have to come up with your own lesson plans. There is also generally no homework for you to grade at these schools. Woo-hoo! Cons: Mind you, the workload can be high at training centers. I taught as many as 25 hours of classes a week when I worked at Web International English. Training centers are also open year-round, so you can anticipate having less vacation time in comparison with Chinese public schools and universities. Work environments in middle schools and high schools in China vary from each school and city. The best schools have an international curriculum in English (like PGA Edukeys) with textbooks you can use to plan lessons. Of course, others may not be as structured and may even ask you to develop your own curriculum from scratch (good luck!). You’ll need to do your research on each school individually to find out. Pros: The perks of working at a middle school or high school is a lesser workload. While you will have homework and exams to grade, you can anticipate around 12-14 hours of teaching time a week. Additionally, you get plenty of vacation time during the numerous holidays and extended breaks throughout the year. Cons: The only caveat is that you may not get paid during the winter and summer vacation at these schools (check your contract to be sure). Class sizes can also be pretty large and it is not uncommon to teach a class with as many as 50 kids or more. Finally, these jobs are harder to find in China and can sometimes be risky. These schools aren’t part of a nation-wide network so they may not know how to treat foreign teachers. It’s best to interview a current foreign teacher before jumping on board to teach English in China at a middle school or high school. University ESL jobs are similar to teaching at a middle school or high school. You usually get about the same amount of work load (12-15 hours) as well as the same major holidays off. These jobs are also notoriously difficult to find as they are in higher demand among foreigners. The primary difference between high school and university ESL jobs in China is in salaries. While middle schools and high schools pay really well across China, universities tend to offer ESL employees the lowest salaries. Now that you have a better idea of what kind of school you want to teach at, you can begin your search for that GREAT job teaching English in China. The problem is…where do you start? Using Google can be overwhelming, so let’s look at a few hacks and tips to finding a quality ESL job. It’s all about relationships in China, so when you’re looking to teach in a specific location or at a specific school in China, it’s all a matter of finding the right introduction. The best way to do this is to talk with as many foreign teachers that are currently working in the city you would like to teach English. Take advantage of LinkedIn and search something like “Guangzhou ESL” and see who comes up in your search. Reach out to those who work at schools of interest and see if they are willing to share their thoughts on the school, any pain points, and whether they would recommend working there. There’s even a Chinese version of Linkedin! Glassdoor is also a good resource for finding ESL jobs and reading reviews from teachers that have worked there. Keep in mind, though, that reviews on Glassdoor seem to always come from disgruntled employees. I always take reviews I read on Glassdoor with a grain of salt. Finding a great job teaching English in China can be tough, especially since there are plenty of bad jobs out there. If you prefer to save time or are not interested in stressing over finding a quality teaching job in China, you can always work with an agency like Hello Teacher!, the CIEE (Council on International Education Exchange), or the Colorado China Council (you don’t have to be a resident of Colorado to use them). Most of these services make their money from the schools who pay them a commission for finding teachers. Most of the time this is good for you, although it means that each agency will only look for schools with whom they already have agreements. If you are a college student or a recent graduate, take advantage of your school’s career services office. Most likely they have plenty of resources and contacts to speak with on teaching English in China. The best training centers in China have websites in English where you can submit your resume and application. You can use the links for all the training centers above to visit their website where they all have a “Work for Us” link. TIP: I would take a proactive step and see if the HR manager in the city you want to work at is on LinkedIn. Reach out and see if you can schedule an interview rather than waiting for them to get back with you. On websites like eChinacities, you can submit your resume and a recruiter will “match” you with a school based on your interests. I say “match” because one time I spoke with a recruiter on eChinacities letting them know I wanted to teach in Urumqi and they came back saying they found the “perfect” school for me in a city I had never heard of. REALITY CHECK: Recruiters work for schools (since that’s who pays them)…not you. Just remember that recruiters are paid commission for every foreigner they get to sign a contract with a school, so be sure to push back when they send you a job that doesn’t at all appeal to your interests. Job posting websites are another thing you should use caution when using. While I find Dave’s ESL Cafe and eChinacities a great place to start researching ESL jobs, there is little information about the schools themselves in each job posting. Anyone can also post on these websites including scammers that trick ESL applicants into paying “fees” to secure a job. Therefore if responding to an ad on one of these websites, do a thorough background check on the school to ensure it is legit. If you are not able to find any information on the school or organization, it may be best to look for a different opportunity. Before accepting any offer, you want to get a good feel for the school to ensure you are not signing up for a long-term nightmare. Your first impression of the school should be your primary judgment call on whether your experience teaching at the school will be a good one. Here are some other things to watch out for. Staff Interaction: Red Flags? A school’s experience in hosting foreigners should be evident during your interview or interactions with the school staff. If there’s anything about those interactions that set off any alarm bells for you, it’s best to go looking elsewhere. Is the Workload Reasonable? Your workload should be reasonable. If a school is asking you to work more classroom hours than is standard (standard is anywhere between 14-20 hours) along with an unreasonable amount of office hours, then walk away. How are the Living Conditions? Know what your apartment or dorm will look like before committing to any contract. I made the mistake of not looking at my apartment until arriving in China, which ended up being old and infested with cockroaches. Yuck! If housing is not provided on campus, be involved in looking for your apartment (click here to learn more about finding an apartment in China). What are the Perks? Schools should pay for all of your housing and community management fees. Don’t accept any offer where you are required to pay rent. The same goes for visas and residence permits – you’ll have to apply for your own visa but the school should reimburse you for those expenses when you arrive in China (you can learn more about visas for China here). How do they handle contract cancellations? Ask ahead what would happen if you had to cancel your contract on good terms – which hopefully wouldn’t need to happen. Good schools will be willing to let you go and even transfer your visa to another institution. If they threaten to cancel your visa, they may have high turnover issues. What do other teachers say? If nothing else, this is the most important thing you can do when determining whether a teaching job you’ve found is good or bad. Connect to and speak with a number of foreigner teachers that currently work at the school. Pick their brain for any pain points to help guide your decision in accepting the offer. Good schools are always open to introducing you to the foreign staff. Once you have landed a job, you should always try and negotiate for a higher salary or other benefits. The best approach for this is to first investigate standard salaries in the area before you accept an offer. What are other teachers with similar qualifications being paid? Try speaking with as many ESL teachers as possible prior to negotiating a contract. Being able to play multiple offers off of one another: Apply to numerous jobs in the city where you would like to teach and cite their offers in your negotiation. Be well-certified: If you have your TEFL certification, an advanced degree or multiple years of experience, play that up during the negotiations. Know what you want: When negotiating, be upfront about what you want. Provide the school with a specific figure to avoid multiple rounds of negotiating. Consider negotiating benefits instead of salary: If flights are expensive at the time of your negotiations, use that to negotiate a higher airfare allowance. Alternatively, consider negotiating a higher housing allowance. Ultimately your qualifications are your secret weapon in negotiating, so use your 320 hour TEFL course or years of experience to your advantage. It’s the worst feeling when you realize you are being paid the same as others with lower qualifications and experience! Finally, you need to give yourself an “out” in case you need to break your contract. Try to push for clauses in the contract that benefit you in case you suddenly need to head home or if a better offer comes your way before completing the contract. The primary thing to push for is a clause that states that the school will not cancel your visa and residence permit should you need to quit with reasonable notice in advance. This is particularly important with training centers, where classes go year-round and there is no “semester” time period. If you have taught English in China or are currently looking for a job and think we forgot to mention something helpful, then let us know in the comments below! Do I Need a TEFL to Teach English in China? Ultimate China City Quiz | Test Your Knowledge of China! I taught English in Japan for 24 years, but dont have a degree. How can i now teach in China? You just need to find the right school. According to Chinese policy you need to have a degree, but I know plenty of people who have taught without one. You just need to look around for the right school that has the needs and the political pull to make it happen. Good luck! i am planning to make the move to china next summer to teach. currently i am in the research and preparation phase. i am pretty sure on the city i want to live in: chengdu, but i am not sure about the type of school. what would you recommend for me as a first teaching job with no teaching experience, first time in china? i am specifically concerned with finding a reputable institution that won’t screw me on the visa process. would very much appreciate any recommendations/tips, etc. About me: us citizen with a B.A. in literature-writing from a “top 100 university.” i have no teaching experience although i intend to get my tefl certificate within the next few months before i start applying for jobs. looking to teach in china long term (at least 5 years) as this is a career change for me. thanks! Hey Manny, I recommend either working with a recruiter or going through a big company like English First (EF). They should be able to help you along, even if you don’t have experience. Good luck!